Takayasu’s arteritis (also known as Takayasu’s disease, “aortic arch syndrome,” “nonspecific aortoarteritis,” and “pulseless disease”841) is a form of large vessel granulomatous vasculitis with massive intimal fibrosis and vascular narrowing, most commonly affecting often young or middle-age women of Asian descent, though anyone can be affected. It mainly affects the aorta (the main blood vessel leaving the heart) and its branches, as well as the pulmonary arteries. Females are about 8–9 times more likely to be affected than males. Those with the disease often notice symptoms between 15 and 30 years of age. In the Western world, atherosclerosis is a more frequent cause of obstruction of the aortic arch vessels than Takayasu’s arteritis. Takayasu’s arteritis is similar to other forms of vasculitis, including giant cell arteritis which typically affects older individuals. Due to obstruction of the main branches of the aorta, including the left common carotid artery, the brachiocephalic artery, and the left subclavian artery, Takayasu’s arteritis can present as pulseless upper extremities (arms, hands, and wrists with weak or absent pulses on the physical examination) which may be why it is also commonly referred to as the “pulseless disease.” Involvement of renal arteries may lead to a presentation of renovascular hypertension. Takayasu arteritis commonly occurs in woman younger than age 50 years; however, it has been reported in patients as young as age 6 months (see Pediatric Takayasu Arteritis). Takayasu arteritis can manifest as isolated, atypical, and/or catastrophic disease. It can involve any or all of the major organ systems. The disease has been reported in all parts of the world, although it appears to be more prevalent in Asians. Takayasu’s arteritis (tah-kah-YAH-sooz ahr-tuh-RIE-tis) is a rare type of vasculitis, a group of disorders that cause blood vessel inflammation. In Takayasu’s arteritis, the inflammation damages the aorta — the large artery that carries blood from your heart to the rest of your body — and its main branches. If you don’t have symptoms, you may not need treatment. Or you may need medications to control the inflammation in the arteries and prevent complications. But even with treatment, relapses are common. Assessment of the pattern and extent of arterial involvement and measurement of current disease activity are essential for the management of Takayasu arteritis (TA). Since there is no completed, placebo-controlled, randomized clinical trial, the level of evidence for management of TA is low, generally reflecting the results of open studies, case series and expert opinion. The most commonly used agents include corticosteroids and conventional immunosuppressive agents such as MTX, AZA, MMF and LEF. In patients who remain resistant and/or intolerant to these agents, biologic drugs including TNF inhibitors, rituximab and tocilizumab seem to be promising. Antiplatelet treatment may also lower the frequency of ischaemic events in TA. In the presence of short-segment, critical arterial stenosis, balloon angioplasty or stent graft replacement may be useful. On the other hand, long-segment stenosis with extensive periarterial fibrosis or occlusion requires surgical bypass of the affected segment, which is clearly associated with superior results compared with endovascular intervention. As a general rule, both endovascular intervention and surgical procedures should be avoided during the active phase of the disease. Earlier diagnosis, better assessment of disease activity and future clinical trials will obviously improve the management of TA. Takayasu arteritis (TA) is a large vessel vasculitis (LVV) characterized by granulomatous inflammation of the vessel wall with an unknown etiopathogenesis. TA predominantly affects young females during the second or third decades of life and mainly involves the aortic arch and its primary branches, ascending aorta, thoracic descending aorta and abdominal aorta. Early in the disease course, non-specific constitutional symptoms such as fever, malaise and weight loss may occur. Later, inflammation of the involved arteries progresses, resulting in segmental stenosis, occlusion, dilatation and/or aneurysm. This may cause extremity pain, claudication, bruits, absent or diminished pulses and loss of blood pressure. TA generally follows an insidious course, however, presentation with acute visual loss or stroke may also occur. TA may show different patterns of arterial involvement, disease expression and prognosis in different regions of the world . Multiple genetic factors were recently shown by a whole-genome approach in TA and an association between the extent of vascular involvement and the major genetic risk factor HLA-B*52 was reported in Turkish TA patients, suggesting that genetic factors might influence disease severity. The aim of this article is to review the current management of TA, including medical treatment options and endovascular and surgical revascularization procedures. Takayasu arteritis is a well known yet rare form of large vessel vasculitis. This review details the history, clinical features, differential diagnoses, classification, and immunology of the disorder. Suppression of inflammation and preservation of vascular competence are the aims of treatment. As with any rare disease, randomised controlled treatment trials are either lacking or based on small patient numbers, making management decisions difficult. Current evidence based treatments are presented and discussed. Some people develop an initial “inflammatory phase” characterized by systemic illness with signs and symptoms of malaise, fever, night sweats, weight loss, joint pain, fatigue, and fainting. Fainting may result from subclavian steal syndrome or carotid sinus hypersensitivity. There is also often anemia and marked elevation of the ESR or C-reactive protein (nonspecific markers of inflammation). The initial “inflammatory phase” is often followed by a secondary “pulseless phase”. The “pulseless phase” is characterized by vascular insufficiency from intimal narrowing of the vessels manifesting as arm or leg claudication, renal artery stenosis causing hypertension, and neurological manifestations due to decreased blood flow to the brain. Of note is the function of renal artery stenosis in the causation of high blood pressure: Normally perfused kidneys produce a proportionate amount of a substance called renin. Stenosis of the renal arteries causes hypoperfusion (decreased blood flow) of the juxtaglomerular apparatus, resulting in exaggerated secretion of renin, and high blood levels of aldosterone, eventually leading to water and salt retention and high blood pressure. The neurological symptoms of the disease vary depending on the degree; the nature of the blood vessel obstruction; and can range from lightheadedness to seizures (in severe cases). One rare, important feature of the Takayasu’s arteritis is ocular involvement in form of visual field defects, vision loss, or retinal hemorrhage. Some individuals with Takayasu’s arteritis may present with only late vascular changes, without a preceding systemic illness. In the late stage, weakness of the arterial walls may give rise to localized aneurysms. As with all aneurysms, the possibility of rupture and vascular bleeding is existent and requires monitoring. In view of the chronic process and good collateral development, Raynaud’s phenomenon or digital gangrene are very rare in Takayasu arteritis. A rare complication of this condition are coronary artery aneurysms. The Signs and Symptoms of Takayasu’s arteritis often occur in two stages. Not everyone has these early signs and symptoms. It’s possible for inflammation to damage arteries for years before you realize something is wrong. One of the difficulties in making a diagnosis of TA lies in the heterogeneity of presentations. TA manifests with clinically nonspecific signs and symptoms of systemic inflammation in about 50% of patients. These include fever, weight loss, malaise, and generalized arthralgias and myalgias. The most common symptoms and signs of TA in different cohorts of patients (Americans,1,11 Italians,12 Mexicans,13 and Indians 14) have been reviewed. Diminishing or absence of pulse or blood pressure, or asymmetry of blood pressure in upper or lower extremities; bruits (most often found over the carotid, subclavian, abdominal, and femoral arteries); claudication of extremities; fatigue; and headache are present at the time of disease onset in about half of patients. The most commonly involved arterial territories in American cohorts are the aorta and subclavian arteries , followed by carotid, mesenteric, iliofemoral, and vertebral arteries. Symptomatic involvement of coronary and pulmonary arteries is less commonly detected. However, imaging of pulmonary vasculature has shown evidence of involvement in more than 50% of cases. Stenotic vascular lesions are found in more than 90% of patients; dilatation or aneurysm formation makes up 17% to 25% of lesions. Rupture of an aortic arch aneurysm and congestive cardiac failure due to aortic insufficiency or hypertension are two main causes of death in TA patients. Hypertension is a major source of disease-related morbidity and is present in at least 40% of U.S. and European patients.11,12 Hypertension has been noted in up to 80% of patients from India, Japan, Mexico, and Korea.11 Renal artery stenosis is present in 25% to 80% of patients and is the most common cause of hypertension,11 which can also result from suprarenal aortic stenosis or decreased aortic compliance. Neurologic symptoms are present in more than 50% of patients.11 These symptoms can result from stenosis of carotid or vertebral arteries, which also causes dizziness, syncope, vertigo, and orthostatic symptoms. More severe manifestations such as transient ischemic attack (TIA) or stroke are seen in up to 5% to 10% of patients and are more often experienced by patients with carotid or vertebral disease. Severe or atypical headache occurs in 40% to 57% of patients. Although visual disturbances including amaurosis fugax and permanent blindness have been described in 12% to 30% of some TA series,1,11,18 permanent loss of vision is quite uncommon in North American patients. Hypoperfusion of retinal and choroidal vessels due to stenosis of carotid arteries is responsible for TA retinopathy, which is characterized by dilation of small vessels; formation of microaneurysms and arteriovenous anastomoses; and neovascularization of the retina. Its reported incidence is 14% to 33% in Asian patients. Hypertensive retinopathy and glucocorticoid adverse events affecting eyes (e.g., glaucoma, cataracts) are common in TA and also need to be considered in these patients. Pulmonary involvement in TA is characterized by vasculitis affecting the large- or medium-sized pulmonary arteries. These abnormalities (occlusion, stenosis, and post-stenotic dilatation) are detected in more than 55% of TA patients on imaging studies,15,16 but most are asymptomatic. Manifestations of pulmonary vascular involvement can become apparent years before the systemic arterial disease has been suspected. Clinical symptoms such as hemoptysis, dyspnea, cough, or chest pain occur in about 25% of patients. Shortness of breath, not clinically attributable to cardiac or pulmonary disease, affects almost 20% of patients. Rare cases of TA with interstitial pneumonitis, pleural effusion, massive hemoptysis, and thrombosis of pulmonary arteries have been reported. Perfusion lung scans can be abnormal in 76% of patients20 and mimic chronic thromboembolic disease. In these cases, the differential diagnosis of both entities needs to be considered. Visceral artery involvement is described in 20% to 40% of cases.11 Lesions of the celiac trunk or mesenteric arteries can result in ischemia of the abdominal viscera. Because development of collateral vessels is the rule, symptoms usually do not occur unless at least two of the three main mesenteric vessels (celiac, superior mesenteric, and inferior mesenteric arteries) are compromised. 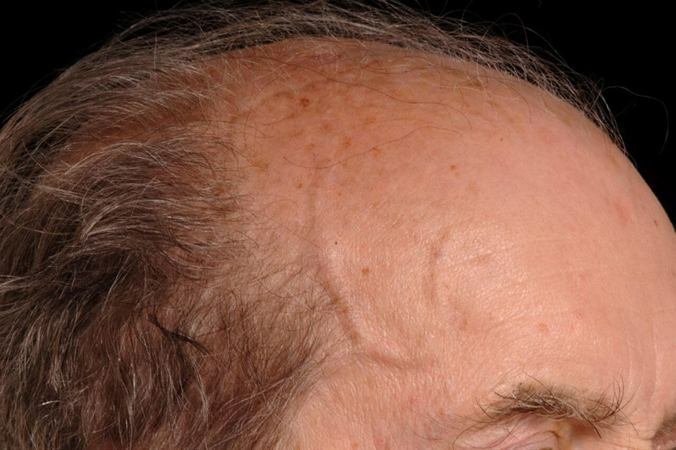 Dermatologic manifestations are noted in up to 28% of patients. Although rare cases of cutaneous necrotizing and granulomatous vasculitis have been described, more common associations are erythema nodosum, erythema induratum, and pyoderma gangrenosum. Diagnosis is based on the demonstration of vascular lesions in large and middle-sized vessels on angiography, CT scan, magnetic resonance angiography or FDG PET. FDG PET can help in diagnosis of active inflammation not just in patients with active Takayasu arteritis prior to treatment but also in addition in relapsing patients receiving immunosuppressive agents. Contrast angiography has been the gold standard. The earliest detectable lesion is a local narrowing or irregularity of the lumen. This may develop into stenosis and occlusion. The characteristic finding is the presence of “skip lesions,” where stenosis or aneurysms alternate with normal vessels. Angiography provides information on vessel anatomy and patency but does not provide information on the degree of inflammation in the wall. The age at onset helps to differentiate Takayasu’s arteritis from other types of large vessel vasculitis. For example, Takaysu’s arteritis has an age of onset of <40 years, while giant cell arteritis has an age of onset >60 years. Takayasu arteritis is not associated with ANCA, rheumatoid factor, ANA, and anticardiolipin antibodies. From the more typical features of Takayasu’s arteritis, the American College of Rheumatology (ACR) defined specific diagnostic criteria for this disorder in 1990. Angiography remains the gold standard for diagnosis. Assessment of pulmonary vasculature by angiography is not universally recommended, being reserved for patients with symptoms of pulmonary hypertension.10 Doppler ultrasound is a useful non-invasive procedure for the assessment of vessel wall inflammation. In view of the vessels involved, histological diagnosis is usually impractical and histological assessment is limited to those cases undergoing revascularisation procedures. The differential diagnoses include other causes of large vessel vasculitis: inflammatory aortitis (syphilis, tuberculosis, lupus, rheumatoid arthritis, spondyloarthropathies, Behçet’s disease, Kawasaki disease, and giant cell arteritis); developmental abnormalities (coarctation of the aorta and Marfan syndrome), and other aortic pathologies, such as ergotism and neurofibromatosis. Most of these have specific features that enable diagnosis, but tuberculosis has remained an important differential and possible aetiological factor. However, tuberculous aortitis tends to cause erosion of the vessel wall with the formation of true or false aneurysms, particularly affecting the descending thoracic and abdominal aorta. Dissection and rupture are important complications rather than the stenoses typical of Takayasu arteritis. The incidence of rupture and bleeding complications of aneurysmal Takayasu arteritis is low. Syphilis tends to affect an older age group, with calcification, sparing the descending thoracic aorta, and stenoses are not a feature.9 Hypertension as a result of fibromuscular dysplasia is an important differential diagnosis. Although similar in many respects, including aortic involvement in 10–15% of patients with giant cell arteritis, Michel et al suggest that giant cell arteritis and Takayasu arteritis can be differentiated on clinical grounds. In a study of 280 patients, 217 with giant cell arteritis and 63 with Takayasu arteritis identified through the ACR vasculitis criteria databank, they found that age of 40 years at disease onset was the single most discriminatory factor. Excluding age from the analysis, ethnic background and clinical signs of upper limb vascular insufficiency, shoulder stiffness, and scalp tenderness were variables that led to correct diagnoses in 95% of patients. Most people with Takayasu’s arteritis respond to steroids such as prednisone. The usual starting dose is approximately 1 milligram per kilogram of body weight per day (for most people, this is approximately 60 milligrams a day). Because of the significant side effects of long-term high-dose prednisone use, the starting dose is tapered over several weeks to a dose which controls symptoms while limiting the side effects of steroids. Promising results are achieved with mycophenolate and tocilizumab. If treatment is not kept to a high standard, long-term damage or death can occur. For patients who do not respond to steroids may require revascularization, either via vascular bypass or angioplasty and stenting. Outcomes following revascularization vary depending on the severity of the underlying disease. Steroids have formed the mainstay of treatment for Takayasu arteritis and reports of efficacy vary. This may relate to the stage of disease at which treatment is introduced in addition to disease extent. Early data suggested little benefit,1 with six of eight patients treated showing no improvement. It is now accepted that approximately half of patients treated with steroids will respond.8 This lack of universal success and the side effects associated with steroid use have led to a search for a more effective treatment. Comparisons have been made with the treatment of other systemic vasculitides, such as Wegener’s granulomatosis.26 Therefore, immunosuppressive agents including cyclophosphamide, azathioprine, and methotrexate have all been tried. However, the difficulty of comparing Takayasu arteritis with Wegener’s granulomatosis relates not only to the size of vessel affected by the disease process, but also to the very different morbidity and mortality associated with these disorders. Untreated systemic Wegener’s granulomatosis has a mean survival from disease onset of five months and a one year mortality of 82%,27 which is in sharp contrast to that of Takayasu arteritis. Kerr et al studied 25 steroid unresponsive patients10 receiving cytotoxic medications including cyclophosphamide, azathioprine, or methotrexate, although not concurrently. The overall remission rate was 33%. Twenty three per cent of all treated patients in their study never achieved remission. Because no single cytotoxic drug appears to be better than any other in terms of efficacy, side effect profiles have been an important driving force in determining treatment. An early report of methotrexate28 suggested that it was a clinically useful, well tolerated drug. A follow up study of 16 steroid unresponsive patients treated with methotrexate and steroid demonstrated remission in 81%.29 However, seven of 16 relapsed as they were weaned off of steroids. Overall, eight patients sustained remissions of four to 34 months and four of these were able to discontinue treatment altogether. Three of 16 progressed despite treatment. A Brazilian study included 12 patients treated with methotrexate and prednisolone13; 58% had a good response. Three had to discontinue treatment because of leucopenia or abnormal liver function. With Takayasu’s arteritis, the aorta and other major arteries, including those leading to your head and kidneys, become inflamed. Over time the inflammation causes changes in these arteries, including thickening, narrowing and scarring. No one knows exactly what causes the initial inflammation in Takayasu’s arteritis. It’s likely that the condition is an autoimmune disease in which your immune system attacks your own arteries by mistake. The disease may be triggered by a virus or other infection.